There has been much discussion in the media recently regarding a proposed increase in development charges for the City of Toronto, and the impact of the increase on potential home and condo buyers in the city. There has been little coverage, however, on how these charges compare to areas immediately outside of the city, in the GTA. Development charges are fees collected from property developers (builders) by a municipal or regional government when a building permit is issued. They are typically incorporated into the selling price of new homes, though some builders may have the buyer pay the charges separately. In the GTA, there are two different scenarios, as the City of Toronto has no regional municipal government. It is, therefore, single-tier. The other municipalities in the GTA have two tiers - the municipality itself, and the region. In Durham Region, for example, the City of Oshawa and Region of Durham both collect development fees. In order to be objective, we need to add all fees from both tiers when looking at different cities. Furthermore, there are different types of development fees collected in different municipalities. In Markham and Durham Region, for example, there are area-specific charges for some locations (Carruthers Creek). Typical of government, everything is clear as mud! To make things somewhat clearer, I will break this down into comparisons for two types of properties - single family detached houses and one bedroom apartments (condos). I will refer to the former as a house, and the latter as a condo. Looking at Toronto, the current development charge for a house is $19,412. For a condo it is $8,356. In Oshawa, the current development charge for a house is $13,197 (including education and cash-in-lieu of parkland charges) and Durham Region charges $25,577 for a total of $38,774. For a condo, Oshawa charges $5,843 (same inclusions) and Durham Region charges $9,678 for a total of $15,521. In Whitby, the charge for a house is $14,118 (including education charges) plus Durham Region $25,577 for a total of $39,695. 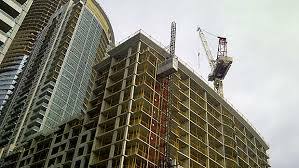 For a condo, Whitby charges $6,436 and Durham Region charges $9,678 totaling $16,114. If Toronto were to double it's charges, it would be in line with the charges developers already face in Durham Region. Let's not even get started on municipal taxes. That will need it's own article! What do you think about the issue?